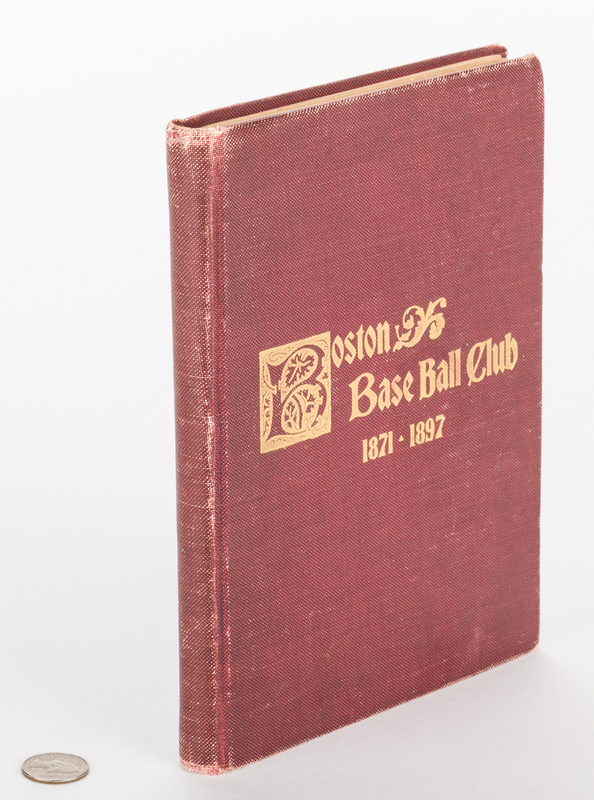 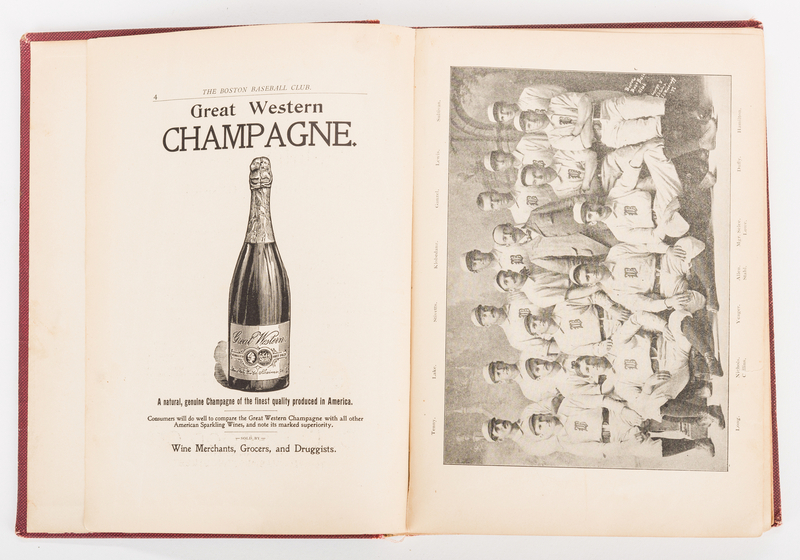 Rare baseball book: A HISTORY OF THE BOSTON BASE BALL CLUB 1871-1897 compiled by George V. Tuohey and published by M.F. 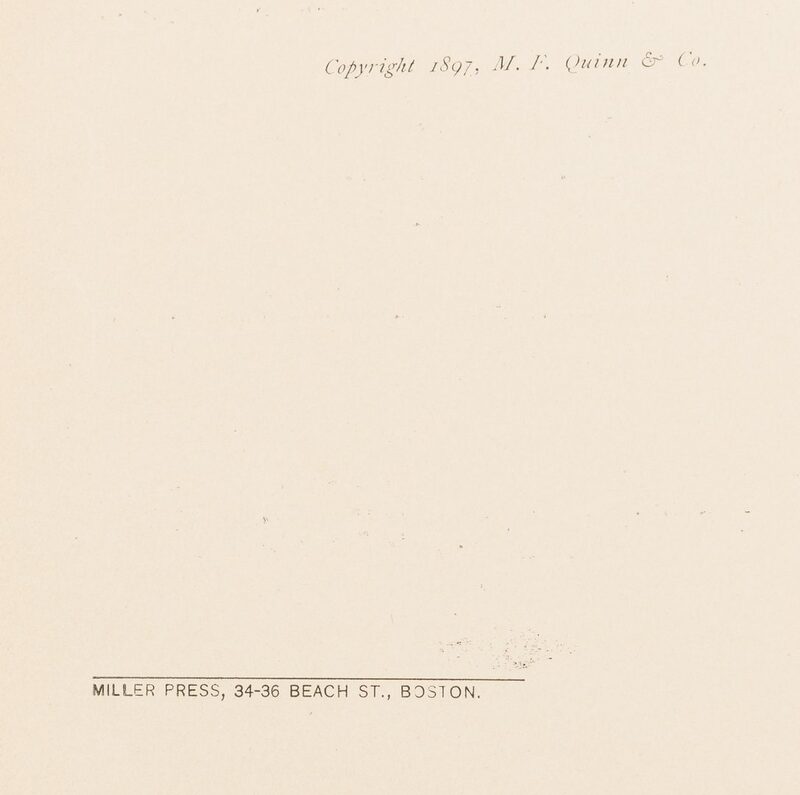 Quinn & Company of Boston, 1897. 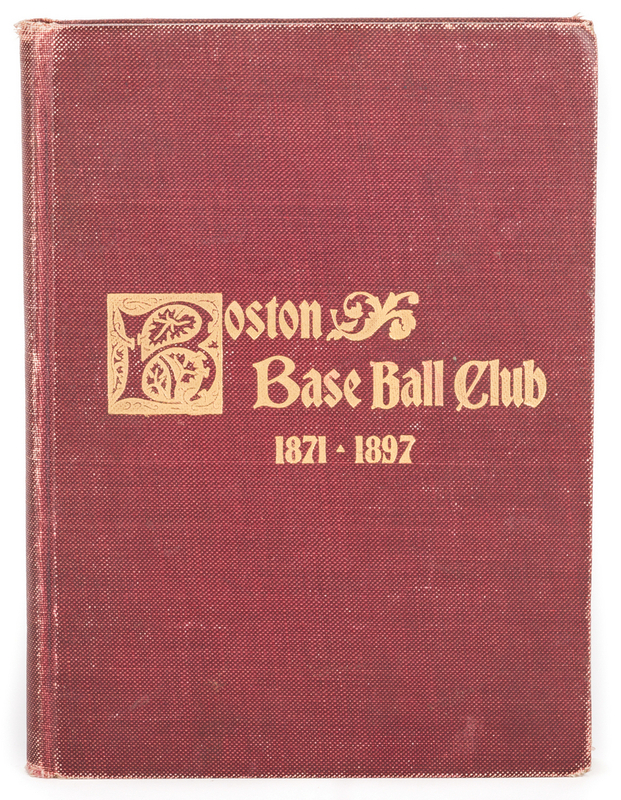 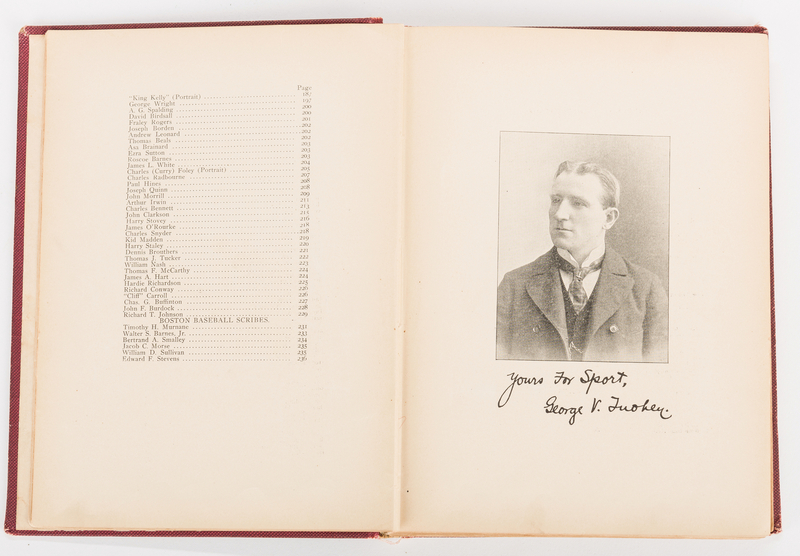 Contents include the history of the baseball team, numerous photos and illustrations, multiple period advertisements, historical accounts of previous Boston teams, and over 50 biographies of Boston team players, including King Kelly, Hugh Duffy, Kid Nichols, Fraley Rogers, and more, all listed in the table of contents along with past team presidents and scribes. Hardbound in red cloth with gilt title, 242 pages(?). 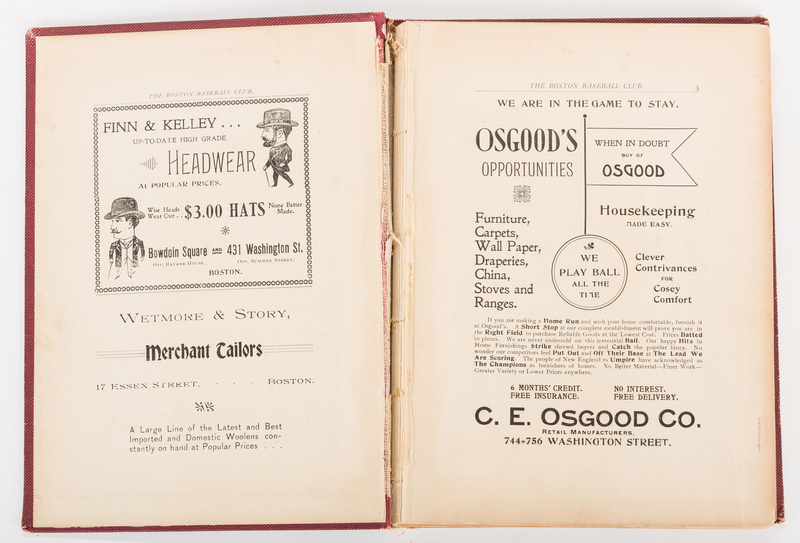 (Pagination is odd with second page of advertisements being page "3" and front pastedown (more advertisements) being page 2). 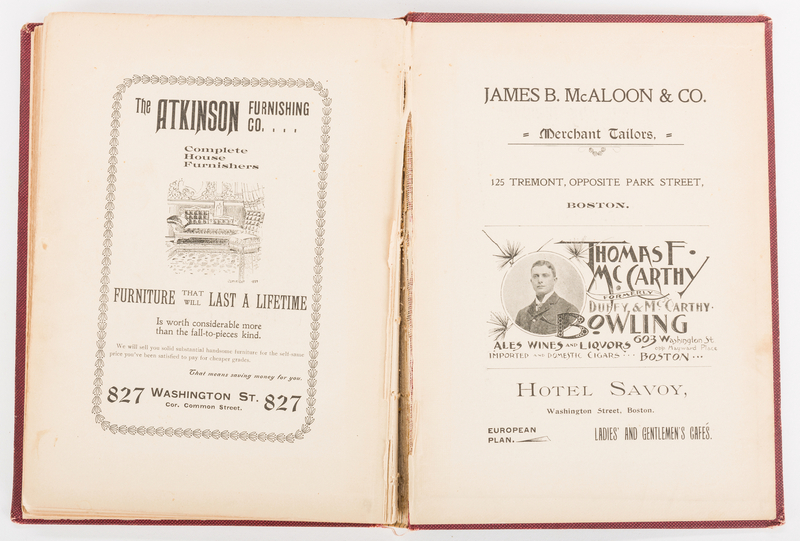 The rear pastedown endpaper contains more advertisements. 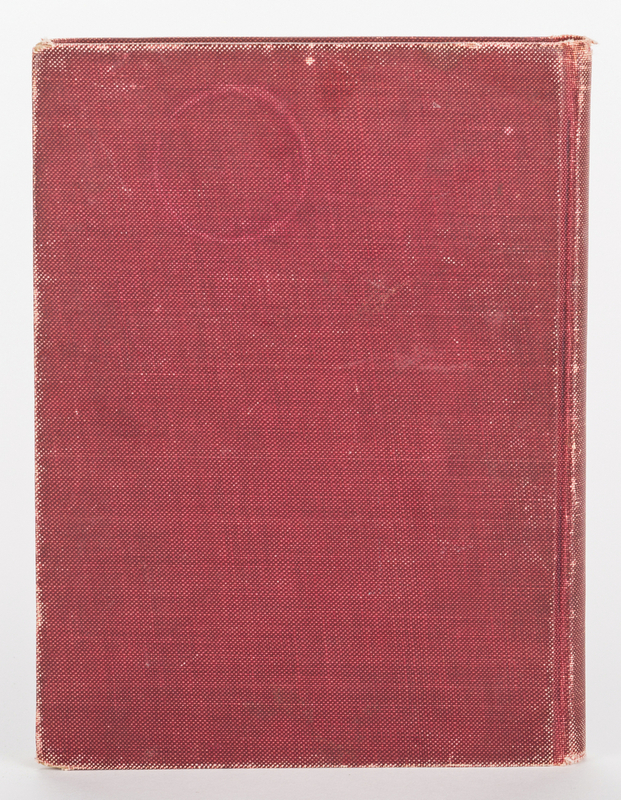 9 1/4" H x 6 3/4" W. CONDITION: General wear to red cloth cover, with edgewear and fraying top and bottom of spine. 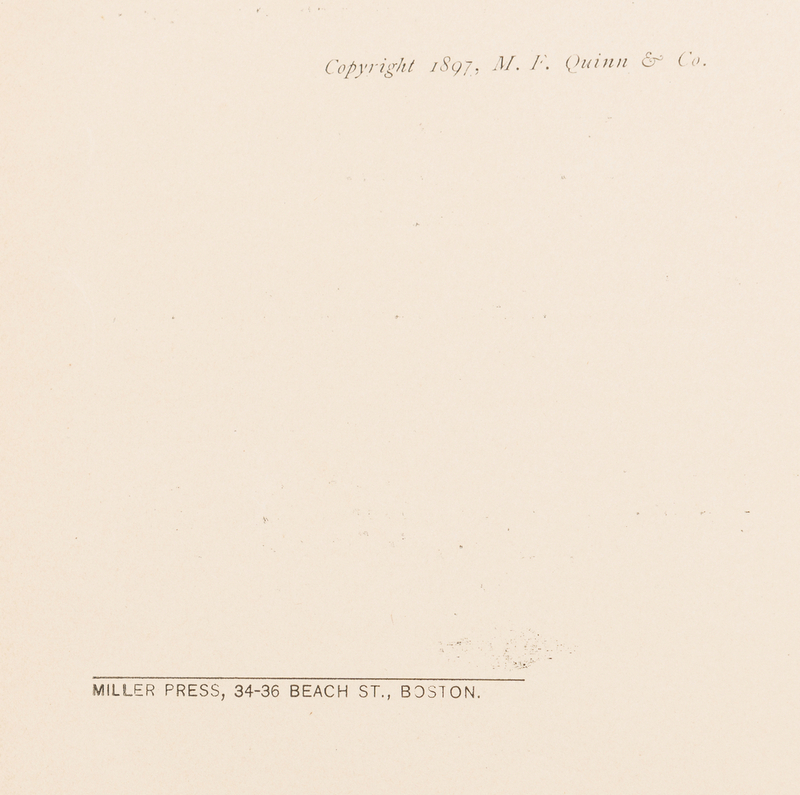 Text block detached from cover. 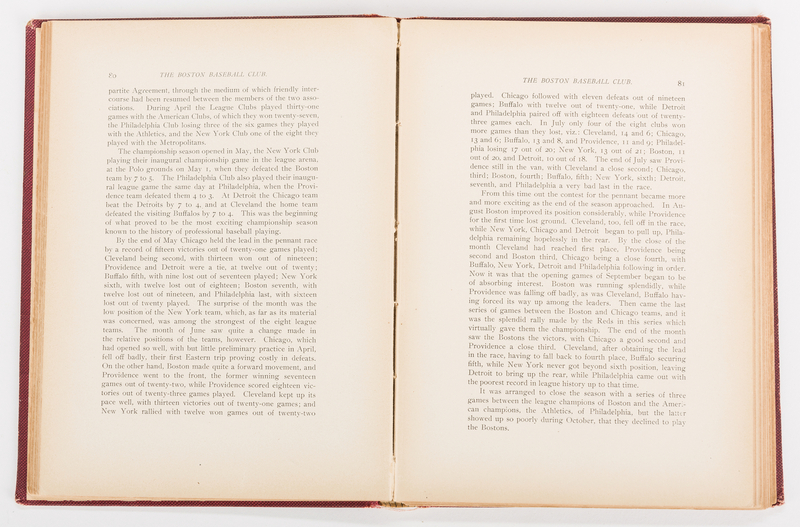 Minor small tears to page perimeters throughout, not extending into script or images, none more than 1/2" L. Interior with minor toning. 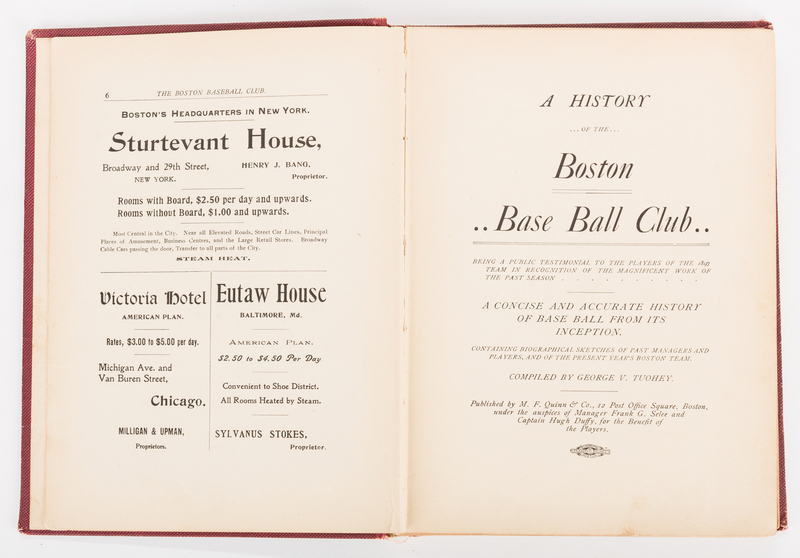 Collated completely with Boston Public Library copy as guide, and book is complete.